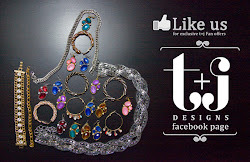 t+j Designs Blog: New Arrivals! Take 20% off all new arrivals with promo code "LIMITED"!! Code is only until Sunday, Feb 5th and remember free shipping has been extended. Take a peak; treat yourself or someone special to a fabulous piece of jewelry.